Love, Actually: Fortunate to Have You! 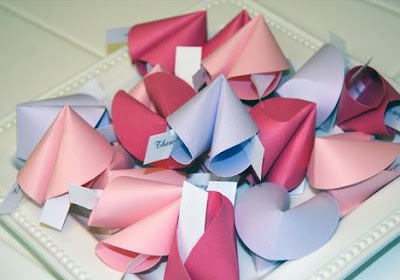 Look at these cute Paper Fortune Cookies... I found them on Angela's Blog, but for a different purpose than how I'll be using them. You can find the tutorial for these HERE. I would put a few of these little "cookies" in a takeout box which you can find very inexpensive at any craft store or make your own from this template. "I'm so fortunate to have you!" Of course, I would put my own little "fortunes" (i.e. love notes) inside each cookie for my husband to read. Come back on Wednesday for a Chinese-themed dinner date at home! thank you for this super super cute idea, and yesterdays, too. how fun is that? my hubs will love that in his lunch box! can't wait for wednesdays post!!! What a good idea to slip it in his lunch - I'm totally going to try that out! So easy and fun! 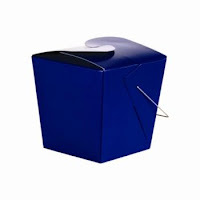 These are so cute... this may be something I could add to a care package for my husband (since he's currently deployed). Hi! Just found your blog today, via BYU's Women's Resources blog. SOO cute, and I'm definitely going to post your button on the BYU Wellness Program's blog as well. Thank you for this creative idea. I bought a valentines day holder for them at Target for $1 and I looked up love quotes and sayings online and put them in pink.. red and purple construction paper. Please help!!! These are way cute...However I can't open the link to the tutorial. I would like to have these fortune cookies for a lesson this Sunday. Can someone give me the site? There are other sites I can use but these look different and much nicer. Human felicity is produced not as much by great pieces of good fortune that seldom happen as by little advantages that occur every day. See the link below for more info.